This may be old news for some, but those new to Mac OS X will find it extremely useful. In Mac OS X 10.6 Snow Leopard, Apple removed the ability for the user to adjust font smoothing via System Preferences. For a flat panel monitor, some may prefer to view with the anti-aliasing turned up or down. This simple tweak can reduce eye strain, and improve the rendering of fonts on larger non-Apple branded monitors. Then reboot to see the changes. You can use any number between 1 and 4, which is the default. The value 2 is apparently best for flat panel screens. If this works well for you, let us know! Further information with comparison screenshots at macworld.com. Today MultiBeast was updated to version 3.4. The latest version is now available at tonymacx86.com/downloads. Added ATI 1.6.32.12 Drivers to Graphics. 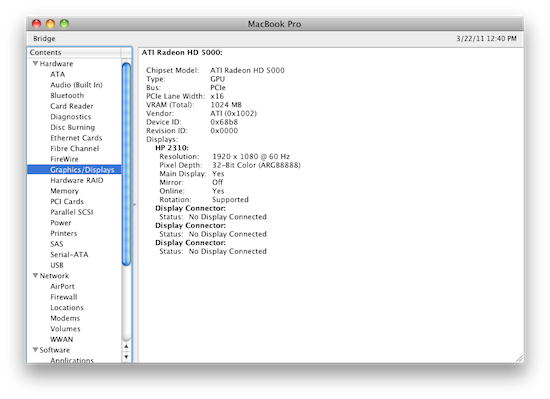 These are all of the updated ATI drivers from the Mac OS X 10.6.7 Update for early 2011 MacBook Pro (Sandy Bridge). 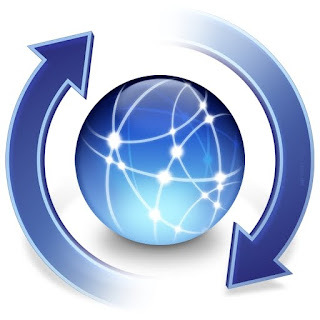 This option will backup the currently installed versions to a folder on the desktop. Corrected description for Voodoo PS/2 Controller to "Enables non-USB keyboard/mouse and is 32-bit only." Added Voodoo PS/2 Trackpad to Miscellaneous. This adds trackpad support for Laptops and requires Voodoo PS/2 Controller to also be installed. 32-bit only. We have confirmed that Apple has included native graphics acceleration for some Radeon HD 5xxx and 6xxx cards in the Mac OS X 10.6.7 Update for early 2011 MacBook Pro (Sandy Bridge). This means full QE/CI without Chameleon's GraphicsEnabler or any enabler kexts such as ATY_init. This development raises some interesting questions. Could this mean the end of the Mac-only graphics card? Could Apple be opening up the platform more? What happens to NVIDIA? Why support for cards that aren't in Macs yet? Will the 2011 Sandy Bridge iMacs contain one or more of these new 6xxx cards? In addition to providing a universal 10.6.7 Update, Apple has also today provided a standalone 10.6.7 update "for early 2011 MacBook Pros". Since these models use the Socket 1155 Sandy Bridge chipset, this update includes support for Sandy Bridge CPUs in Mac OS X. It also initiates Radeon HD 6xxx support for a limited number of cards. Tested on Gigabyte Radeon HD 5770 - Chameleon 2.0 RC5 - valv branch with GraphicsEnabler=No and no enabler kexts. Full resolution switching and QE/CI. NOTE: So it seems as if there's a limit of 3.2 GHz maximum. If you can't boot- and get a reboot loop- change your multiplier in BIOS to 32x or lower. I ran into trouble loading 33x or higher on the Core i5-2500K. Still investigating. 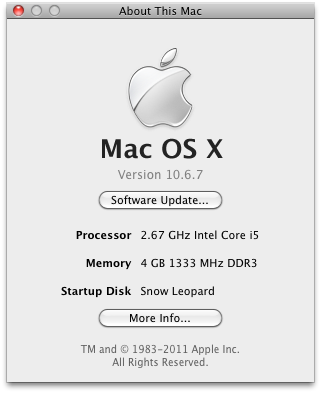 Today Apple released Mac OS X 10.6.7 the 7th major update to Mac OS X Snow Leopard. 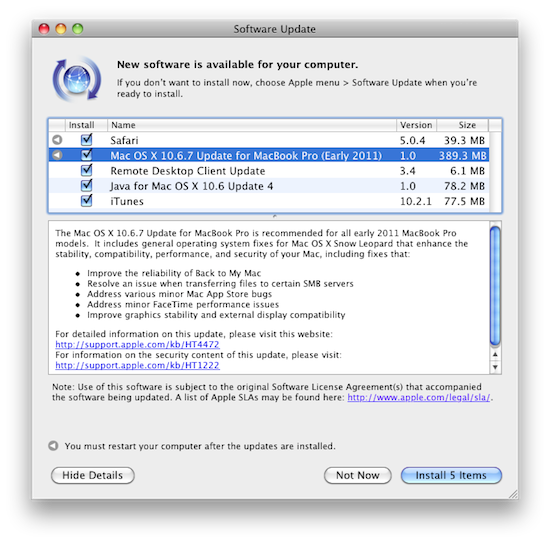 To update for any supported CPU, simply run Software Update, or download the standalone installer from Apple. Graphics - If you're using a NVIDIA 4xx "Fermi" card, you will have to re-run the tonymacx86 NVIDIA Update to regain full acceleration. One of the top questions on the forum these days seems to be how to get the functionality of iBoot when booting from the hard drive. For novices, it seems like the process ends after the Combo Update. 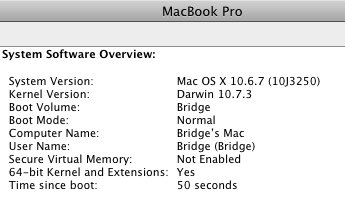 But iBoot was designed as an installation tool only- not as a permanent solution for post-installation. It is NOT a boot crutch. 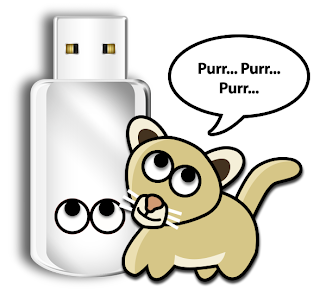 By using it as such, you are limiting the functionality and upgradeability of your system. Fortunately, MultiBeast contains the same drivers and files as iBoot and can allow most things to work without using a DSDT. We created MultiBeast to solve the post-installation problem. 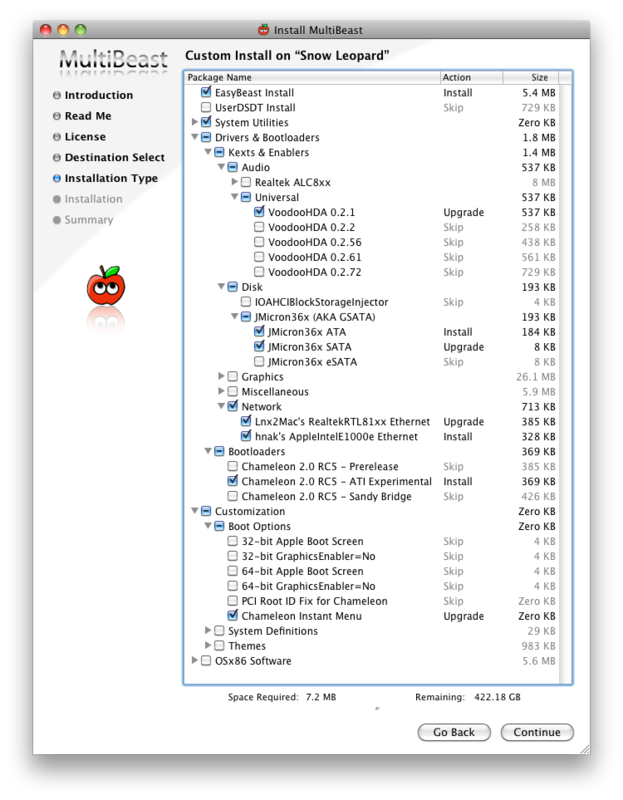 When installed, the following MultiBeast options will allow boot from a 1 TB or less hard drive or partition, universal audio, network, and graphics. These are not the only drivers available, and may not give optimized performance. However, these options will allow you to be rid of iBoot as a boot crutch. Good luck, and see you on the forum! Renamed all HDAEnablers to include the codec it enables: HDAEnabler888, HDAEnabler888b, HDAEnabler889, HDAEnabler889a and HDAEnabler892. Today, iBoot has been updated to 2.7. Grab the latest version at tonymacx86.com/downloads. Updated bootloader to Chameleon 2.0 RC5 r748 ATI Experimental (Kabyl Branch). To clarify, this version works with both NVIDIA and ATI cards. Replaced ElliottForceLegacyRTC.kext with LegacyAppleRTC.kext for compatibility with Intel boards.